The staff members of Emeryville Animal Hospital are dentists, too. Just because our pets can’t brush their own teeth doesn’t mean that they don’t have dental concerns. Pets are just as susceptible to dental disease as their human caretakers. According to the American Veterinary Dental Society, 80% of dogs and 70% of cats have oral disease by the age of three. It is the most frequently diagnosed health problem in pets. Cats Have Doggy Breath, Too! Doggy breath isn’t just a nuisance. It can be an indication of gingivitis and plaque build-up. 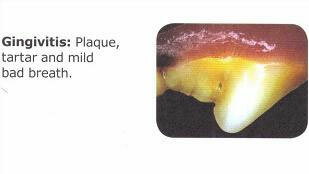 If left untreated, these conditions can lead to serious pain and infection. Bad dental habits can lead to other health problems for all pets – dogs, cats, rodents and any other animals that have teeth. Providing a variety of safe chew toys, reducing the intake of human food, and brushing teeth daily (Dental Homecare) can help decrease the number of dental procedures your pet requires in a lifetime. It is best to start these habits while they are puppies & kittens. A veterinarian should evaluate your pet’s oral health every year. 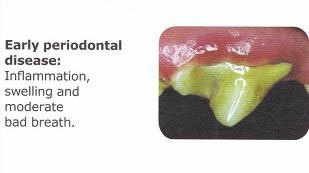 Bacteria & food debris can accumulate around the teeth just as with humans. 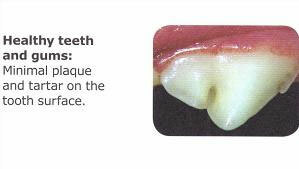 If left unchecked, it will lead to deterioration of the soft tissue & bone surrounding the teeth. 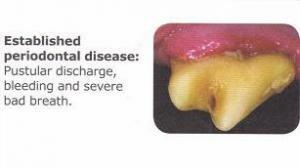 This decay results in irreversible periodontal disease and eventually tooth loss. It is important to realize that dental disease progresses each year. The treatment becomes more involved with advanced dental disease and it may eventually become necessary to remove the affected teeth. In the wild, relatives of the dog and cat regularly tear at the flesh and bones of their prey in order to survive. By providing for our companion animal’s most basic needs through canned & dry foods, we have eliminated their natural way of maintaining oral health. Just like us, our pets require periodic assessment & dental cleaning. A dental prophy is the procedure for cleaning your pet’s teeth. This requires a general anesthetic in order to safely remove tartar, assess for the formation of deep pockets and then polish all surfaces of the tooth. There are other reasons why you should pay close attention to your pet’s mouth. 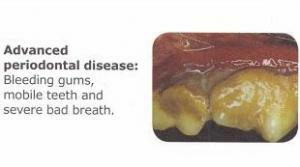 Dental disease can affect other organs in the body. Bacteria in the mouth can enter the blood stream and may cause serious kidney infections or even liver, lung & heart valve disease. Oral disease can also indicate that illness is occurring elsewhere in a pet’s body. A thorough physical exam combined with appropriate laboratory work can determine your pet’s overall health status. After a dentistry treatment, many owners will notice a big improvement in their pet’s breath and behavior. Members of our team are more than happy to give you instruction on the best way for you to care for your pet’s teeth and prolong their dental health.